Social media in 2015 is the modern day store front. Putting your best foot forward with pretty photos, engagement with fans and more is important, but so is having up front and center the key to your pizzeria: the menu. Whether you have online ordering or not, having a menu so potential new customers can browse the options can help boost business. When traveling, I always check to see what pizzerias are near me by searching Facebook and Google. If I can't find details on what you serve, I often don't take the chance. 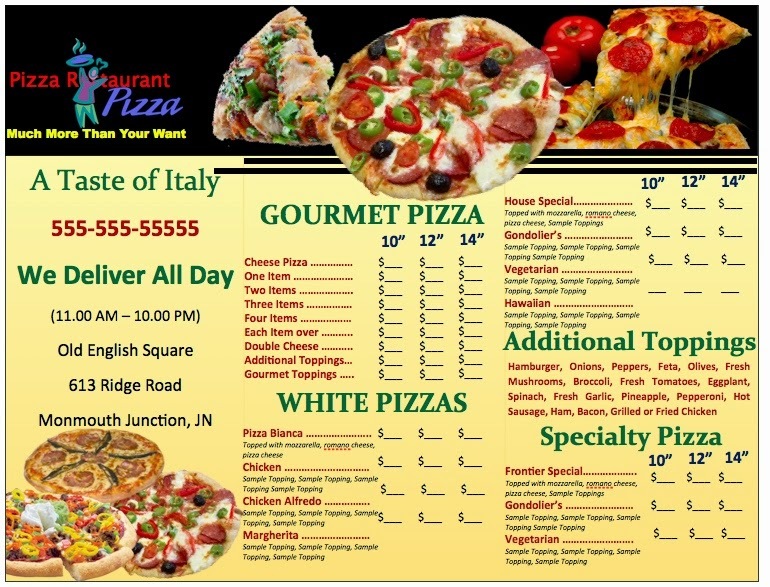 If you have delivery or online ordering, this is even more crucial to provide your menu to your customers. #1 Work with this great free app, MenuTab, to add your menu easily and with great design. You follow the step-by-step instructions and look at an example here. The call to action on PMQ's page goes to a sign up page on our site. #2 The call to action tab. You can now create a call to action tab that is easily seen by anyone who visits the page. It can link to online ordering or an online menu on your site if you so choose. #4 A last ditch option is to make images of your menu and add them to a photo album to include them that way. This does not look as professional but if it gets the job done, at least your menu is now available on Facebook!